The pressure is now on U.S. House Republicans to complete the first step toward repealing Obamacare after a razor-thin Senate vote showed the contentiousness surrounding efforts to undo President Barack Obama’s signature domestic achievement. A top House leader said Thursday that there’s enough support to approve the measure in Friday’s scheduled vote. “Oh yeah, we’ll be fine,” Majority Leader Kevin McCarthy of California said in a brief interview. Governor Charlie Baker is bucking congressional Republicans but is also pushing for a key change so fewer working people can choose government-subsidized health insurance. Even so, Dennis Ross of Florida, a senior House deputy whip, said Wednesday he’s been advised by a colleague that more Republican votes must be found to adopt the resolution, since all Democrats are expected to oppose it. Ross said GOP leaders are preparing for the possibility that the vote may have to be moved to Saturday to allow more time to assemble support. Some House Freedom Caucus members are opposed to the current plan, while Charlie Dent of Pennsylvania, who co-chairs a group of moderate Republicans, said he has “serious reservations” at this point about voting for the budget. The 51-48 Senate vote early Thursday fell almost entirely along party lines. Senate Republicans held together to defeat Democratic amendments aimed at defending popular portions of the Affordable Care Act, including expanded Medicaid and Medicare drug benefits and allowing kids to stay on their parents’ insurance until 26. Republicans intend to come up with the repeal bill in the coming weeks, though they remain far apart over how it would work. The budget blueprint lets Republicans repeal much of Obamacare without any votes from Democrats, because follow-on legislation wouldn’t be subject to filibusters. GOP leaders initially discussed setting an Obamacare repeal sometime months or even years in the future, with a replacement to be enacted by that date. But a revolt by rank-and-file members in both chambers, with apparent agreement from Trump, has lawmakers looking for a near-simultaneous repeal and enactment of a new health-care law several weeks or months into the new administration. The budget resolution, S. Con. Res. 3, sets a Jan. 27 target for writing the first Obamacare replacement bill. A group of five Republicans proposed changing that target to March 3, but they withdrew the amendment late Wednesday after GOP leaders reassured them that there was no practical difference because missing the deadline doesn’t carry a penalty. Senator Rand Paul of Kentucky said he voted against the budget resolution for an unrelated reason -- it would allow the federal debt to increase by more than $9 trillion over the next decade. Republicans control the Senate 52-48, which meant that Republicans could afford only a single additional defection to advance the measure before Trump’s inauguration. The “vote-a-rama” procedure for budget resolutions allows Democrats to force unlimited votes on amendments, which meant hours of votes before final approval of the measure. Democrats tried to use the amendments to demonstrate a split between where the country is on popular provisions and the Republican base. Senator Bernie Sanders of Vermont, the liberal independent who sought the Democratic presidential nomination last year, said Thursday he would be holding rallies nationwide to use opposition Obamacare repeal as a way to bolster Democrats. In the Senate, an amendment on prescription-drug pricing -- a hot topic in the wake of the furor over Mylan NV’s EpiPen price increases and others in the last year -- received a vote. The provision aimed at allowing importation of drugs from Canada was defeated 46-52, with numerous Democrats and Republicans breaking from party ranks in what was a significant symbolic win for the powerful pharmaceutical industry. Provisions were also filed on numerous other issues, including the carried interest tax break, trade and veterans’ benefits, but most of them did not get roll-call votes. Previous “vote-a-ramas” have been nearly all-night affairs with proposed amendments on a wide range of topics, but Democrats focused most of their amendments on Obamacare. Democrats are due to get another chance at offering dozens of amendments later this year, when Republicans plan to vote on next year’s budget, including fast-track provisions intended to speed an overhaul of the tax code. Most Republicans seemed inclined to vote against even items they support to avoid hiccups that could create an embarrassing start to GOP control of Washington. Several senators said many of the amendments are effectively meaningless. No Democratic amendments were adopted. But one, an attempt to create a 60-vote threshold on legislation that would harm rural hospitals, had the backing of four Republican senators -- Shelley Moore Capito of West Virginia, Susan Collins of Maine, Dean Heller of Nevada and Rob Portman of Ohio. The attempt failed on procedural grounds, but could be a preview of the difficulty Republicans can expect in actually writing a repeal bill. 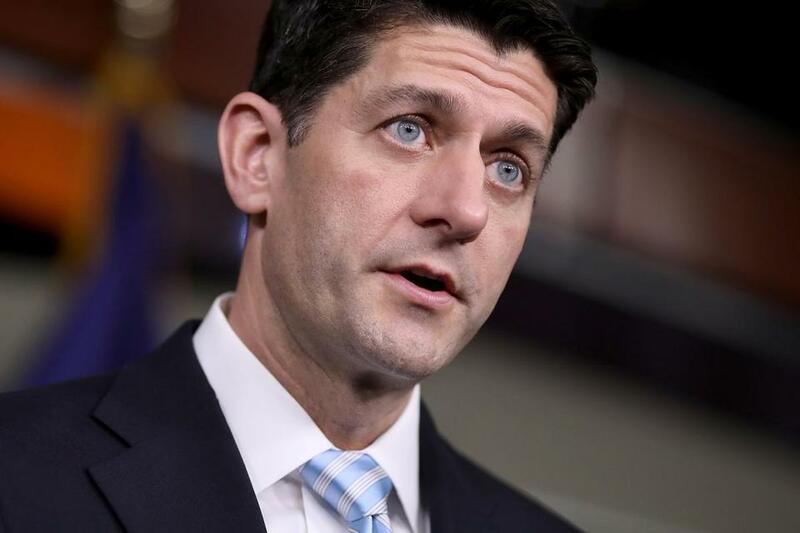 Ideally, leaders want the House to adopt the Senate resolution this week and move on, but it’s not clear yet whether Speaker Paul Ryan will have the votes to do so without changes to assuage his restive conference. Among the differences Republicans are struggling with are how to treat states that expanded Medicaid under Obamacare -- a priority for senators like Capito -- and whether to immediately repeal all of the Obamacare taxes or keep some of them in place for now to ensure funding for a robust replacement. Trump said Wednesday that he plans to weigh in on the outlines of a replacement after he takes office. Georgia Republican Representative Tom Price, the president-elect’s pick for Health and Human Services secretary, faces a hearing next week in front of the Senate’s health committee, although the key hearing for his confirmation hasn’t yet been scheduled.